This is sort of new, but also not...I'm teaching sewing classes here in Portland. You can read the details about upcoming classes and register for them in the new "Sewing Classes" category. 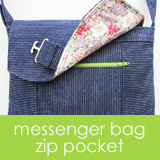 Next month there are two classes scheduled--Grocery Bag & Zip Pouches. December can be kind of a full month, but these are just one afternoon classes, so they are a brief commitment. 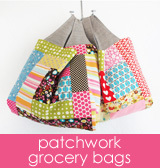 They are also a nice chance to get out of the house and meet some new people who also like to sew. The classes are small, so it's kind of like spending an afternoon sewing with friends. You can also come and make one of your Christmas gifts. Most of us have good intentions of making some, or all, of our gifts, but life can get in the way. Come spend the afternoon with me and we'll make sure you get at least one of your gifts sewn. 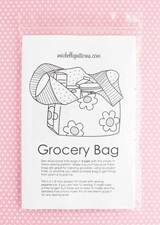 This will be the third time I've taught the Grocery Bag class. It's been really fun so far! The shop where I'm teaching is also open for an hour after the scheduled end time, so we don't have to stop right at 5:00, and can keep sewing if you need a little more time. Though I will say, if you need to be somewhere right after class, just let me know and I'll help you get done in time. If you'd like to hear about upcoming sewing classes, go to this page and enter your email address and select the sewing classes list. If you are already on my email list, you can enter your email again and it will recognize you and give you a chance to update your preferences.